Kay again. 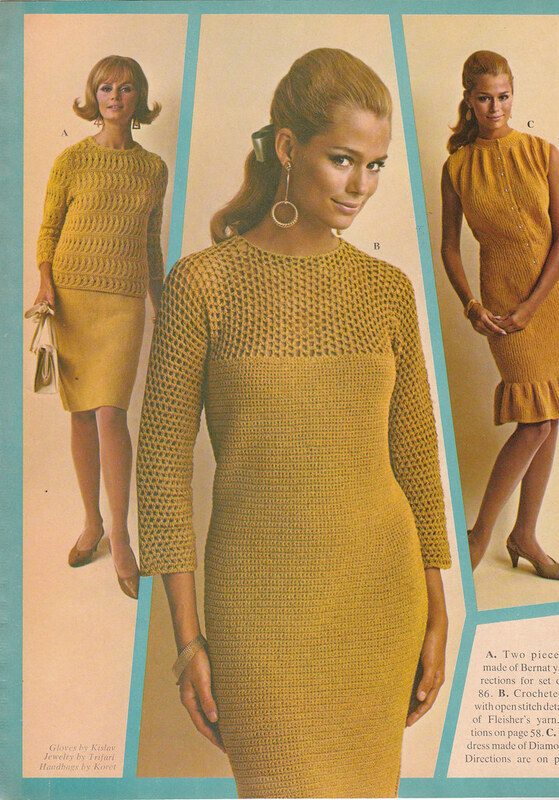 I love these yarn dresses - basically see-through. Love to see these make a comeback. 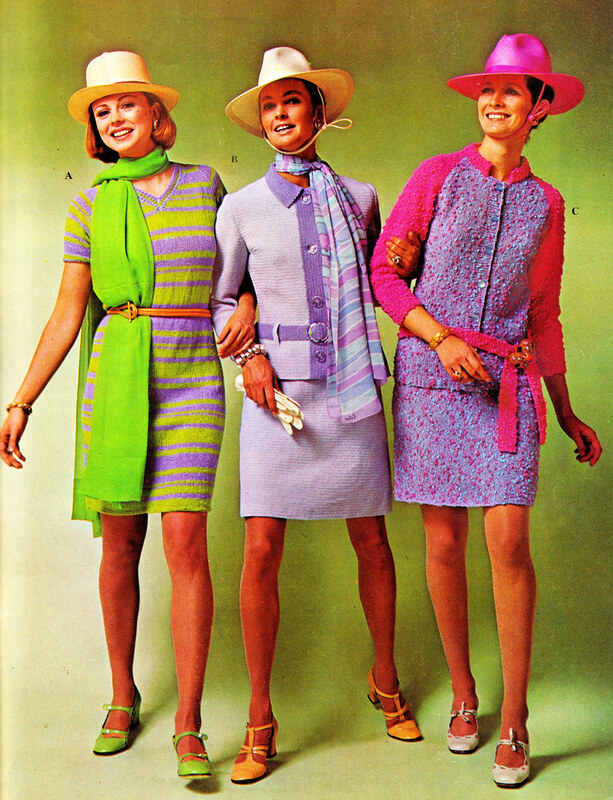 A word of advice, ladies - skip the hats. "God Bless Our Pad".... classic. She looks like she has a headache. Somebody get this woman some Excedrin. 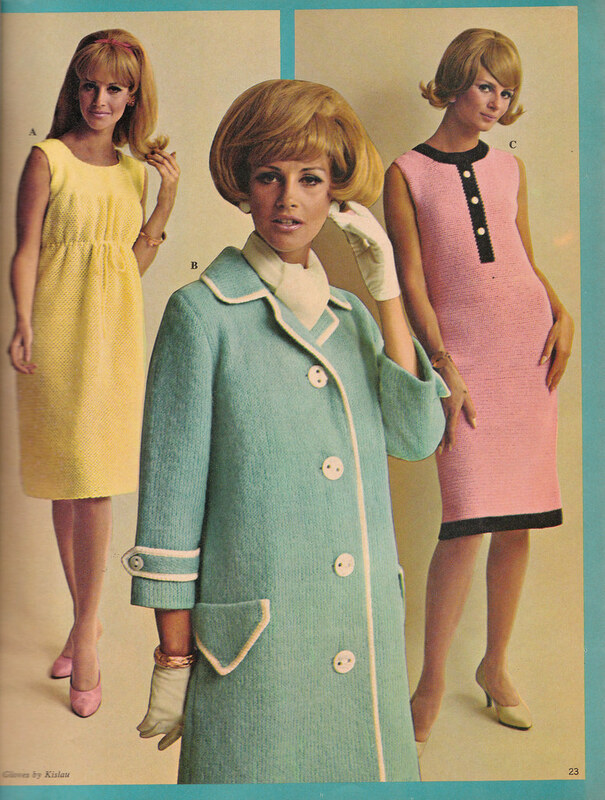 In '67 things were still really classy. 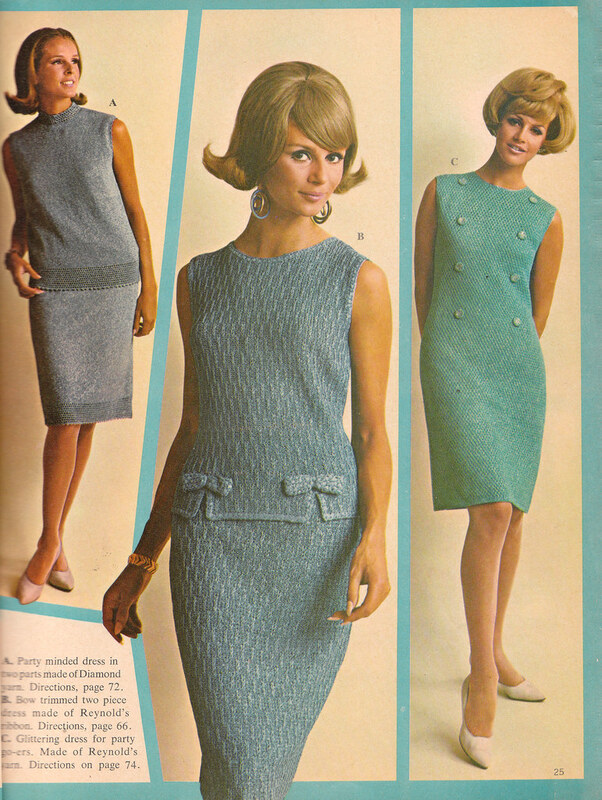 There's still a strong trace of that Jackie Kennedy look to be found. It wasn't long before the gloves came off and things got a bit more casual. 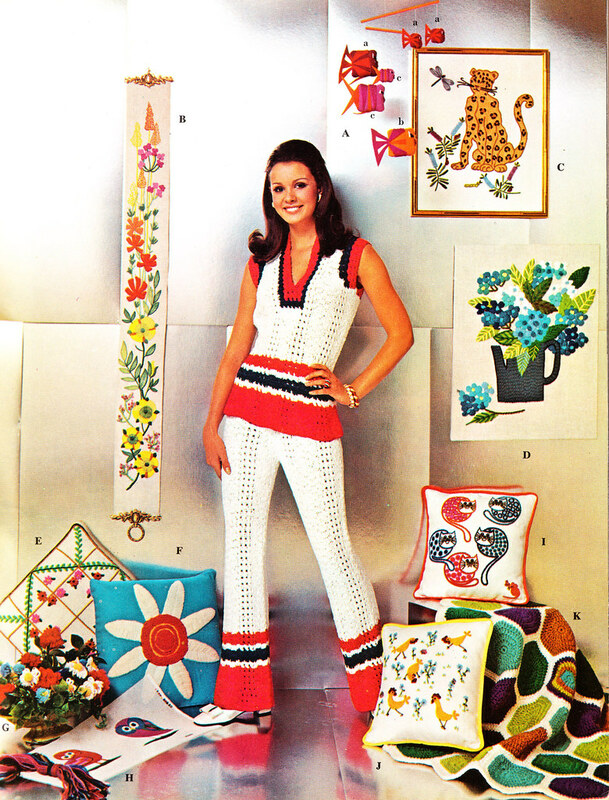 That red, white, & blue 2-piece outfit is outasight. 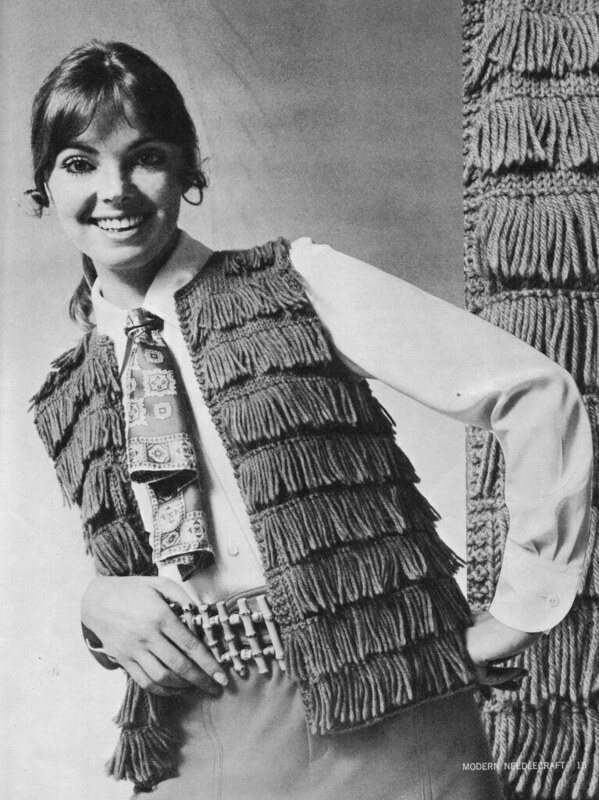 Needlework-a-Go-GO are my faves, Gilligan! Keep 'em coming. 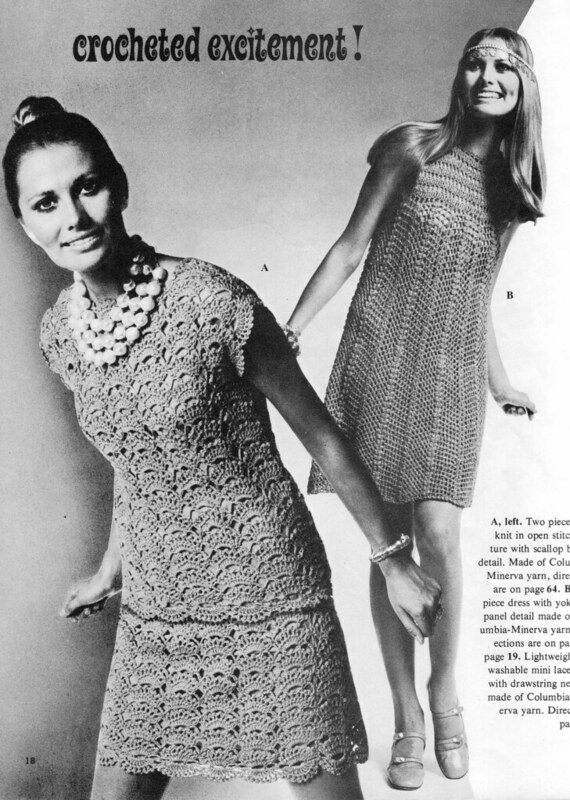 In 1969 I had two crocheted dresses when I was 8 or so...one pink, one gold. Made by a very elderly client of my dad's. I hated them! My mother thought I was being ridiculous by refusing to wear them without a slip, which I didn't even have. She was utterly naive. "Oh who cares? No one's going to notice anything...you're only 8." So I hid them in the back of the upstairs hall closet and they weren't seen again until my parents cleaned everything out in preparation for a move in 1999. HA! 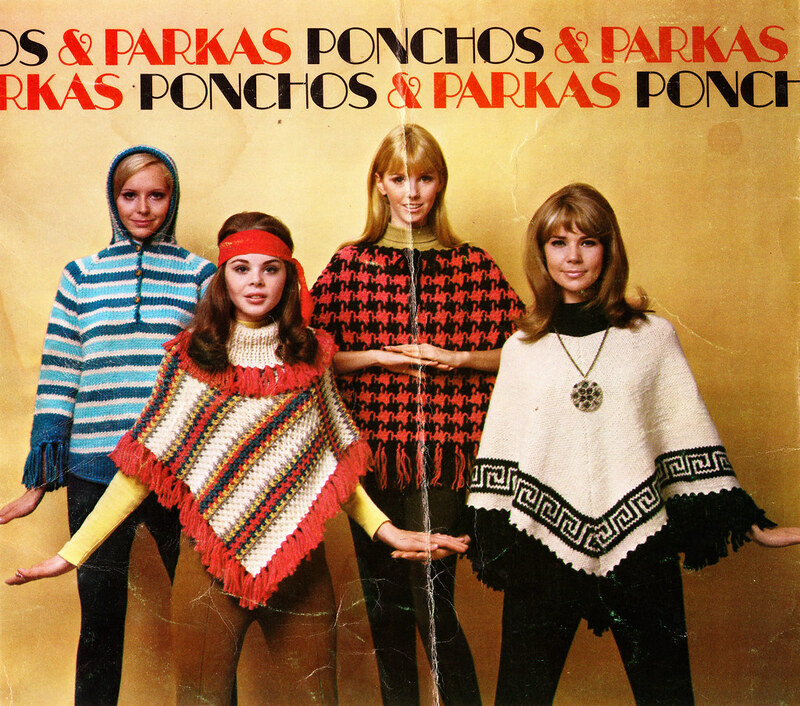 Mom had the first booklet on ponchos and made me the one on the bottom right, except it was pink and white! Loved it! 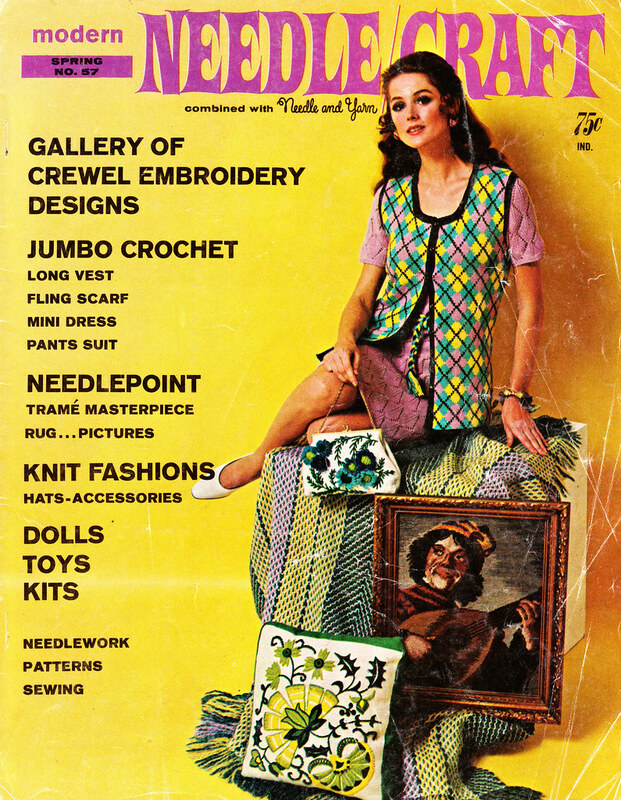 I love the needlework posts! 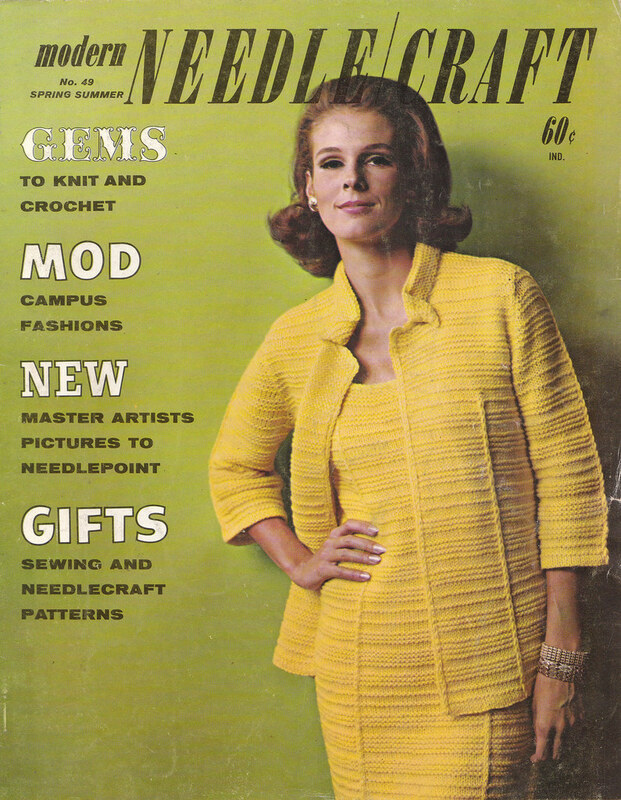 I am a knitter so I love vintage patterns. 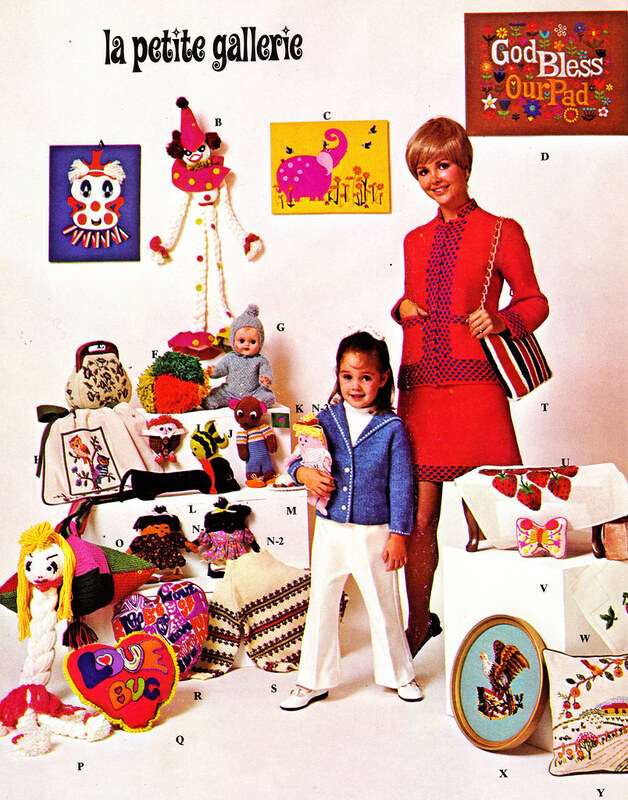 I have a bin in my basement full of them from my Grandma. I can't part with them. Gilligan, thank you so much. 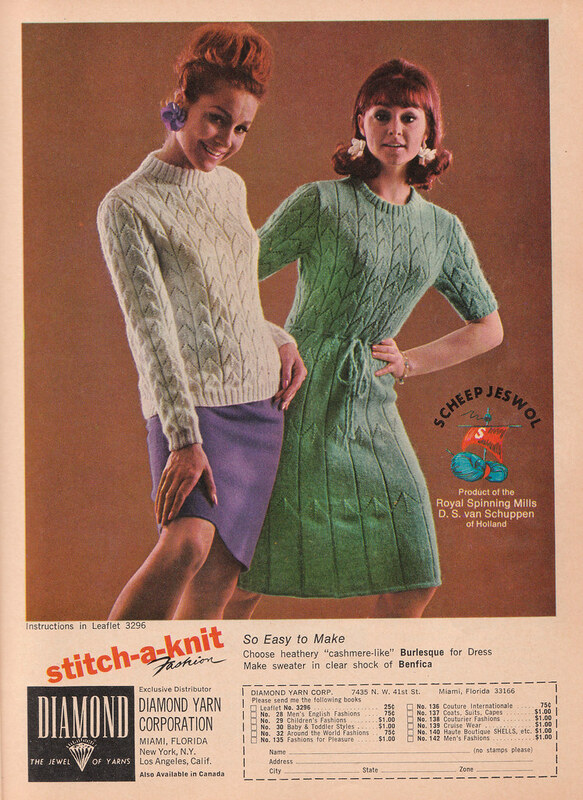 I was really needing a needlework fix. 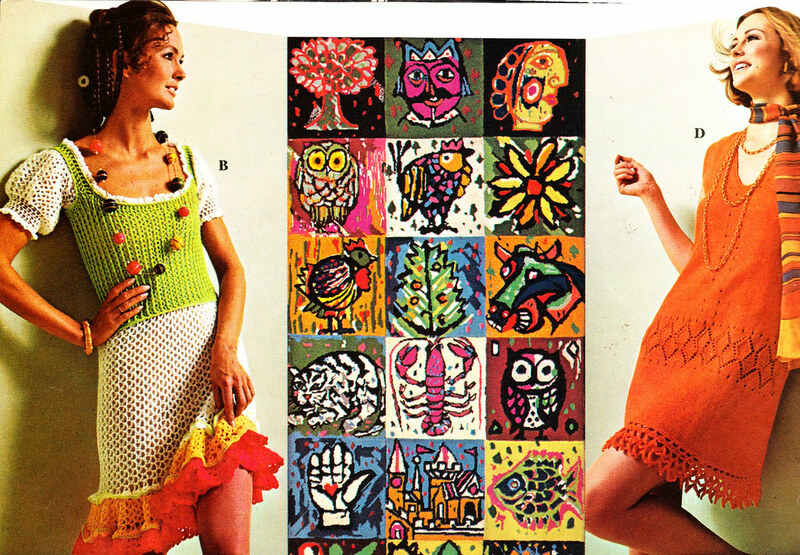 And I agree with you on the see-through, crochet dresses. 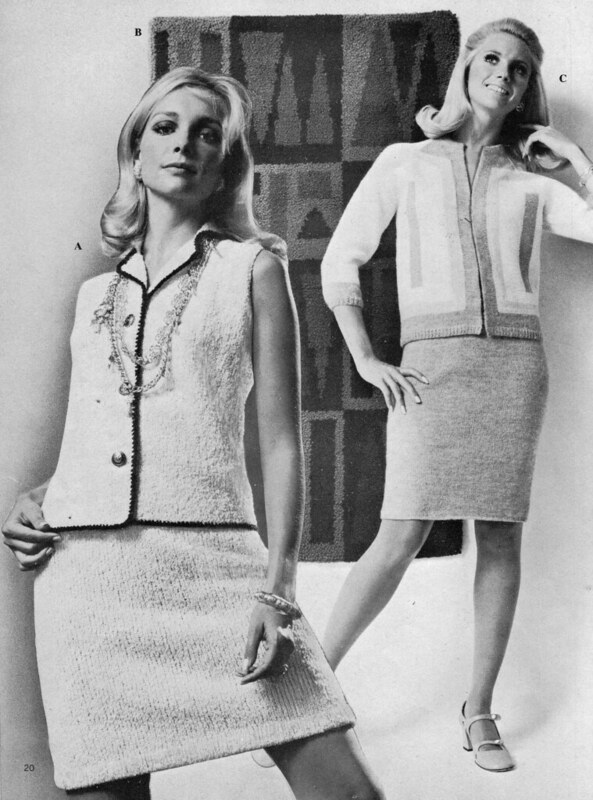 It's amazing what seemed so risque back then is rather, well, low-key today.